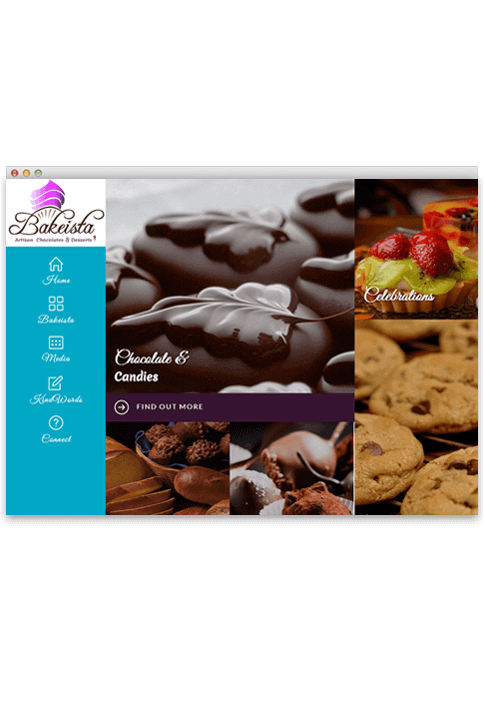 Bakeista offers a selection of the finest Bonbons with attributes from world-class Chocolatiers and hand-made Confections, provide a direct service to all customers and specialise in cupcakes and chocolate products. Personalised, hand-made chocolate gifts and a bespoke service are also available at Bakeista studios ,located in Gujarat, Hyderabad & Bangalore Poogle Media were approach by Bakeista to re-brand their bakery studio.This project was so much fun and we put in our best minds to create a stylish logo while communicating the core service. Poogle designed their logo with a dollop of cream, blended with colour tones and custom fonts. Poogle media also wanted to communicate the taste of sound , when ever you have sweets that are great in taste and experience, human tendency produce a joyful noise called "ahh" That's exactly what we capture the sound of "aahh " in the alphabet "a".With creative twist we achieved full corporate identity design in style.